A Shropshire family law expert has welcomed a ‘ground breaking’ process which could mean parents being denied contact with their children if they try to turn them against their former partner. 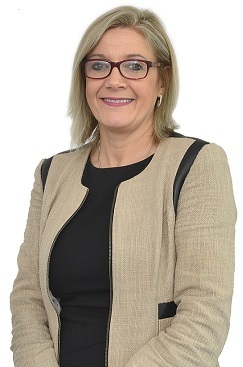 Emma Kenvyn, a family executive at Wace Morgan Solicitors, based in Shrewsbury, has said that the Children and Family Court Advisory and Support Service (Cafcass) is behind the initiative. It is designed to tackle the issue where one parent poisons their child against the other, known as parental alienation, the ultimate aim of which is to persuade the child to permanently exclude that parent from their life. Cafcass said it had recently realised parental alienation occurred in significant numbers of the 125,000 cases it dealt with each year. The new approach will initially give parents the chance to change their behaviour with the help of intense therapy. Alienating parents who do not respond may not be allowed to have their children live with them. “Parental alienation is not a new phenomenon but unfortunately is becoming more and more prevalent in warring families and I welcome this new initiative,” said Emma, who specialises in childcare cases. “I represent many parents where the other parent is making every attempt to prevent an on-going relationship with their child or children, which is to the detriment of those youngsters. “I often advise my clients to pursue a change in living arrangements so that the child or children will have the opportunity of a proper relationship with both of their parents. “Unfortunately all too often it is impossible for the alienating parent to understand the emotional impact their actions are having on their offspring. “I would support any form of counselling or intervention with these parents to try and find a way to retrain their beliefs and support and nurture the children’s on-going relationship with both of their parents,” she added.